You can now download ebooks and audiobooks and stream videos from Rochester Public Library's OverDrive collection using your library card. This new service is being offered due to a reciprocal lending agreement between SELCO and RPL. The first time you enter Rochester's collection you will need to select that you are a SELCO patron and enter your library card number. After that, it will automatically remember your card number. Below are instructions on how to do it if you are using it within the OverDriver/Libby App. 1. Go to either SELCO's OverDrive or RPL's (see above for Links). 2. Search for the items you want. 3. When you either borrow or place a hold, you will need to login as a SELCO patron with your library card number. 1. Tap the three lines in the upper left-hand corner. 2. Select add a library and type in "Rochester Public Library." 4. Sign in with a library card. Select SELCO Patron and then type in your library card number. 5. Use the three lines in the upper left-hand corner to navigate between each library's collection. 1. Tap on Libby's face in the upper right-hand corner. 5. To navigate between collections, click on Libby's Face in the upper left-hand corner and select the library you would like to search. 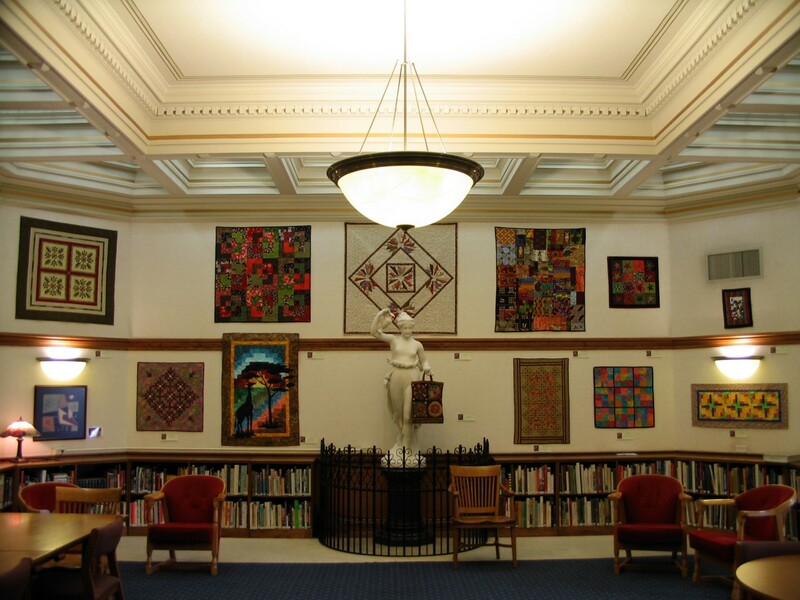 Whether your artwork hangs or sits, the Winona Public Library has exhibit space open in the Bell Art Room for you. The Library has openings now through the remainder of 2018. Artists are allowed to display and sell their work for up to one month. An artist talk is appreciated while the work is on display but not required. All exhibitions and talks are marketed to the public by the library. To view our exhibition policy and paper application, click here. To submit an online exhibition application, click here. 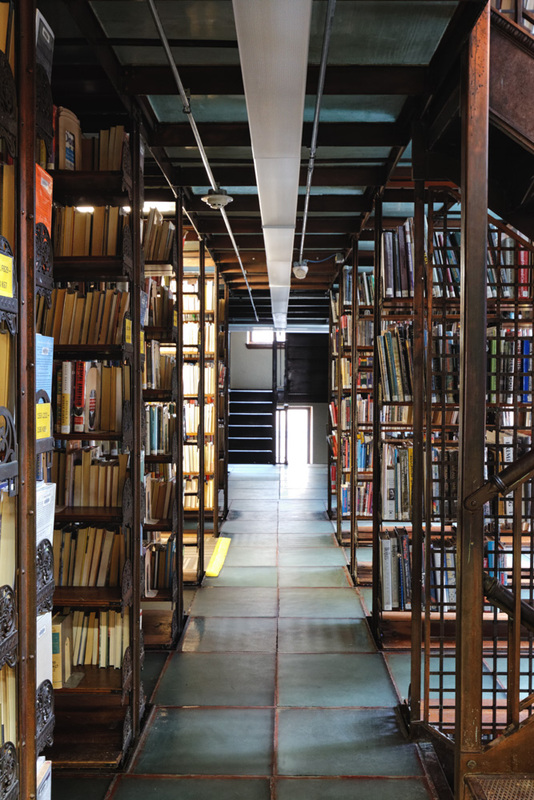 Tours of the library are held periodically throughout the year during special events or upon request. If you would like a tour of the library, please contact the Reference Desk at 507-452-4860 or email us at winonapl@selco.info. The next meeting is on Tuesday, April 9, 2019 (Annual Meeting). The Friends of the Winona Public Library usually meet every third Saturday of the month to discuss fundraising and funding the library. Be part of the discussion. All Friends and potential friends are invited. 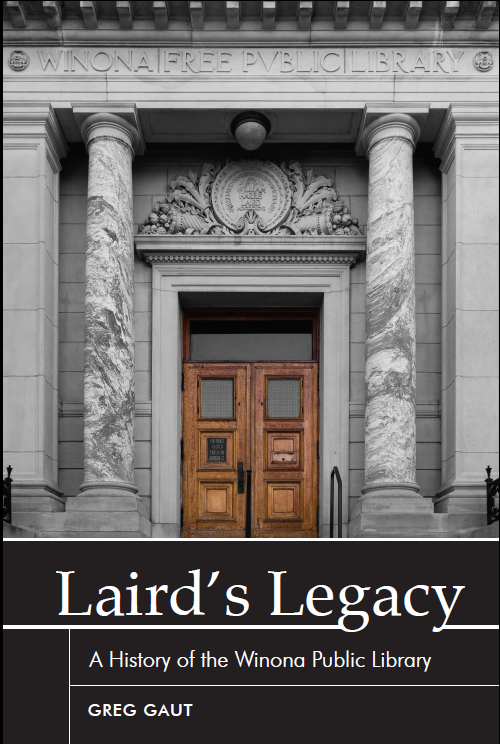 The Friends of Winona Public Library announces the release of Laird’s Legacy: A History of the Winona Public Library by Greg Gaut. The book is now for sale for $23 at the Winona Public Library’s Checkout Desk. Credit cards, cash and checks are accepted. This library history project began in 2014, when Chad Ubl, Winona’s Community Service Director, discovered a trove of historic material in Winona Public Library’s vault. It convinced him that the library’s history should be told. What started as discovery, turned into a collaborative project between the library, the Friends of the Winona Public Library, and Greg Gaut, a historian specializing in historic preservation. 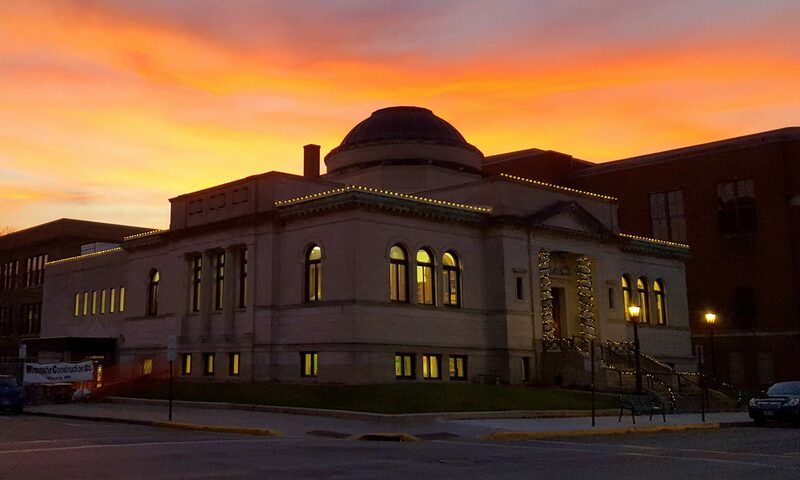 In 1897, two years before the first Carnegie library in Minnesota, Winona lumberman William Harris Laird donated the public library building to Winona with the stipulation that the city maintain it as a public institution. His gift is an impressive Neo-classical building sheathed in white limestone and capped by a central dome. It is the oldest library building still in use in Minnesota. 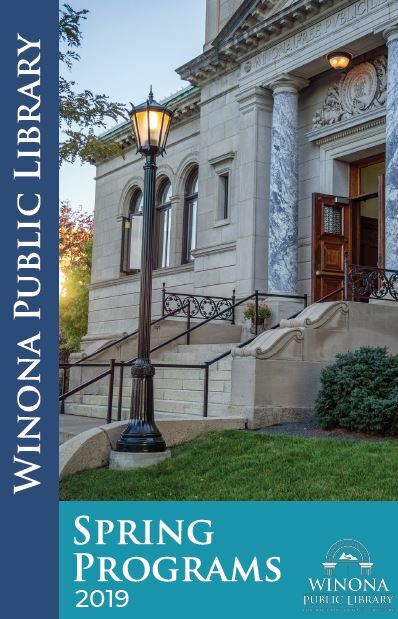 The book tells the story of Winona’s public library from its origins in 1886 to the present time, focusing on the legacy of Laird’s philanthropy. 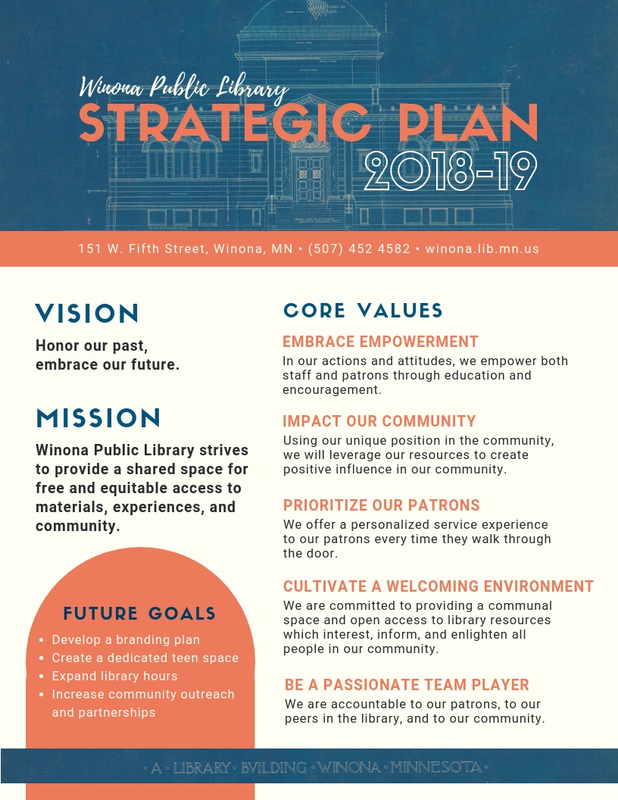 The Friends of Winona Public Library is a 501c3 nonprofit that maintains an interested membership, focuses attention on the library, stimulates the use of library resources, receives gifts and endowments to the library, and cooperates with the library in developing services and facilities for the community. Book sale proceeds will serve as a perpetual fundraiser for the Friends. Grant monies that made this book possible came from the Winona Foundation, Minnesota’s Arts and Cultural Heritage Fund, and the people of Minnesota for Library Legacy activities.